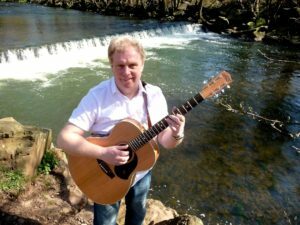 Phil Millichip is a singer-songwriter and guitarist, from Newport, who has performed at many folk clubs and festivals throughout the UK. 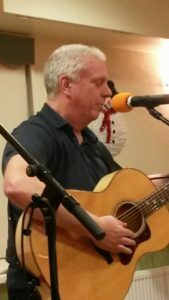 He has written and recorded 3 CDs of his own songs and many other artists have performed and recorded his songs, including the late great Vin Garbutt. Phil’s musical compositions cover a wide variety of styles and subject matter, including songs about the local area, one called the Roman Road, based on Caerleon. You can frequently see Phil performing at Newport Folk club, which meets at the Fugitives Cricket Club in Rogerstone, every Thursday. Make contact with him on Facebook.